Runner games, though simple, can be extremely addictive. One of the coolest things about them is that you keep discovering something new and exciting despite repetitive patterns. The more you play them, the more appealing they appear to be. Among so many different running games, finding one interesting, fun and challenging game is hard. Because of that, we did our research and we have for you one exciting princess running game where you can win valentine day cards. Let’s discuss it. Developed for Android users, easy to play, suitable for kids and adults this is one highly fun princess adventure game which allows players to test their running skills by saving the princess from the evil castle. Players will have fun in the magical princess world, running and dashing fast to get the princess save to the jungle full of yellow roses. Players are also offered amazing HD graphics and sound effects, while they have fun running and avoiding obstacles, helping the princess, progressing in levels and winning their valentine day cards. 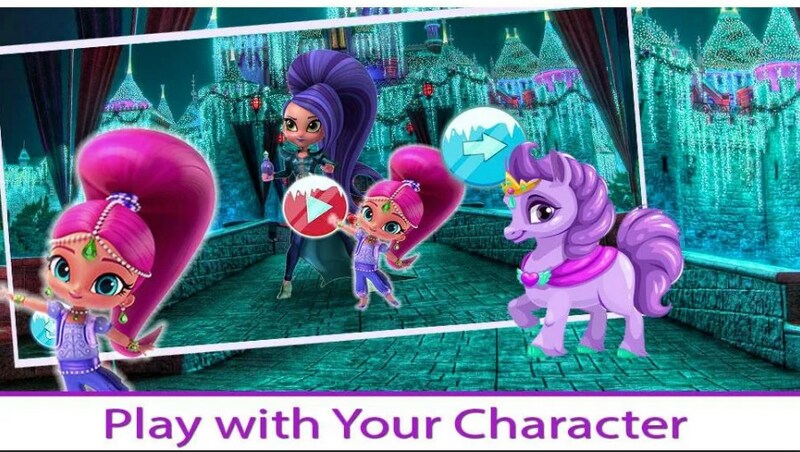 Choose the princess character and run fast! The Princess Horse Adventure has to offer its players very interesting features that will get them addicted to playing this adventure running game fast. All users have to do is to save their princess character from the castle. By touching the screen, players will jump and dodge, running with the princess through the jungle and getting her save to the yellow roses. While running, players must be careful to avoid all obstacles and avoid the temple as well. When the player finishes each level and collects as many gold coins as possible, he will win his valentine day cards. Challenging the players, this game offers over 100 levels where the player needs to save the princess while choosing between 4 different character modes. Many upgrades and power-ups are also offered to players to help them save the princess and win as many valentine days cards as possible. Win the highest scores by progressing in as many levels as possible. Download the game for free now on Google Play to help the princess and run as fast as possible!